While I know that there are a lot of advantages to having electronic versions of books and other articles (quick searching, light weight, can carry a whole library on a single electronic device, etc), I'm still a fan of actually holding a book in my hand. I prefer reading from printed pages rather than a computer screen (I do the computer screen thing all day already). 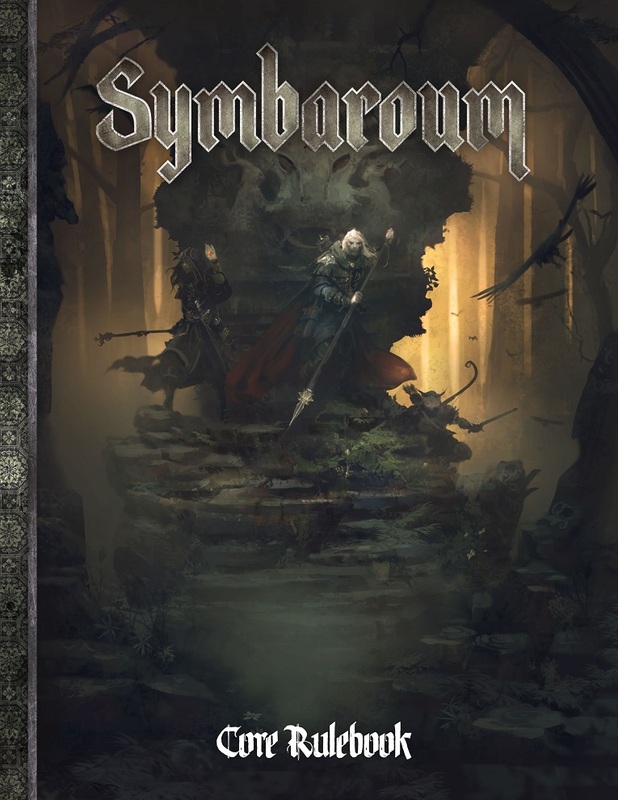 Well, for those that have wanted to check out Symbaroum, but haven't really wanted the digital version, today's your lucky day. You can now order the hardback rulebook direct from the source. This is, of course, for the English version of the game. So for those of you who don't speak Swedish (so, not Henrix), you can now partake in all the fantastical adventures that Symbaroum offers. Just head to the Jarningen webshop and get yourself a copy. Also of note is that various online retailers will soon be offering "print-on-demand" versions, but if you don't want to wait, you don't have to. And for those that don't like ordering online, you can expect the books to be hitting store shelves early next year.